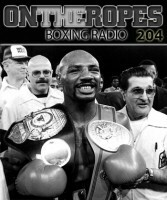 (Transcribed by Michael Readman) Thomas ‘The Hitman’ Hearns is widely considered to be one of the greatest fighters of all time, and is spoken of in high regard today as the boxer most feel would have had a chance to take Floyd Mayweather’s “0”. 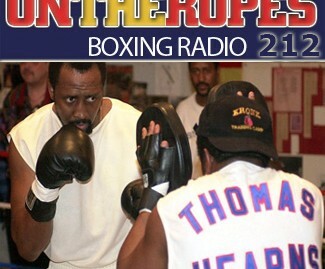 I recently had a chance to speak with the 2012 Hall of Fame inductee, Thomas Hearns, to discuss his outstanding career, and some of his biggest moments. Tommy talked about his relationship with Emanuel Steward, and how he ultimately got into the sport of boxing. 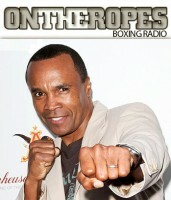 Hearns also looked back at his fights with Pipino Cuevas, Sugar Ray Leonard, and Roberto Duran. 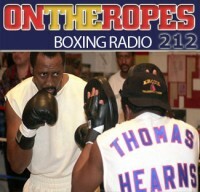 Here is what former IBO champ Tommy Hearns had to say in part 1 of his interview. Jenna J: Tommy, I’d like to talk a little bit about what you’re doing these days. What have you been doing since you’ve been retired from boxing? Tommy Hearns: Well since I’ve retired, I go around meeting different people and doing a lot of celebrity signings and stuff like that. Mostly I’ve been meeting a lot of different celebrities and doing different things. My life has changed a great deal, I used to be in the ring and have all kinds of fun, but now I’m a little bit more low key. 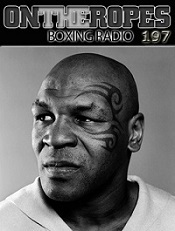 Jenna J: In 2012 you got inducted into the Boxing Hall of Fame. How did that change things for you? Tommy Hearns: Being inducted into the Hall of Fame, it totally changes your life because not very many people make it to be a Hall of Famer. I thank God that he gave me the ability to make it to the Hall of Fame. I’m very, very honored and pleased for that. 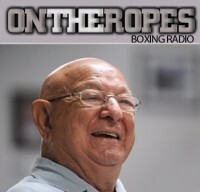 Jenna J: Tommy, I had the unique pleasure of interviewing your former trainer, Emanuel Steward twenty six times, and he talked very fondly about you. What was that relationship like between you and Emanuel Steward? Tommy Hearns: Well, Emanuel Steward and myself, we were like father and son. We had a father-son relationship. Everything that I did, I did it because of my love for Emanuel Steward and for myself because I wanted to make Emanuel proud of me because he spent a lot of his time helping develop me into who I am today. I wanted to make him very proud of what he instilled in me and getting me to where I am today. Jenna J: Tommy, seeing as you knew Emanuel better than most people did, is there kind of story or anything about Emanuel Steward that maybe the fans have not heard? Tommy Hearns: One thing that people may not have heard is that Emanuel was a very big James Brown fan. He danced like James Brown, and when James Brown would come on, he just started singing, moving his feet and dancing. Jenna J: Tommy, let’s talk a little bit about how you got into boxing. What made you want to become a boxer? Tommy Hearns: How I got into the sport of boxing was from watching Muhammad Ali on TV, seeing Muhammad Ali do his thing and that made me want to be able to do the same thing. Muhammad Ali made it look so easy; I wanted to have the opportunity of doing the same thing Muhammad Ali was doing. I idolized him, I respected everything he was doing, so I wanted to be just like him. I just didn’t have the gift of the gab that he had, I know I didn’t have that, I would have loved to have had that, but I didn’t have it so I wouldn’t even try to hurt myself by trying to attain the gift of gab. He had the ability to talk and to box. I had the ability to box so I only just boxed. Jenna J: Very few had that gift like Ali did, but you did a lot of great things. When you first started your career and you first started working with Emanuel Steward, how far did you honestly think you would go as a fighter? Tommy Hearns: I always had high hopes. I had top belief that I was gonna do well as a fighter because it was something that I really enjoyed doing and whenever I had the chance to go out and show my ability, I went out there and I did what I had to do at all times. Jenna J: Early in your career you had success in the amateur ranks, going on to win the 1977 Golden Gloves tournament. What was it like reaching those goals in your amateur career? Tommy Hearns: Oh man, winning the National Golden Gloves, those things were really big back then and it really moved us and moved me. I was very excited to be in the Golden Gloves but the Golden Gloves wasn’t no joke. Guys came from all over the world and they were in shape and you had to be in a better condition than they were. Jenna J: When you turned professional, you immediately started tearing up the division. When you got your title shot, you did what a lot of people didn’t expect you to do to Pipino Cuevas — you took him out in two rounds. Were you shocked at how quickly you ended things? Tommy Hearns: I was more excited than shocked because I knew that I had the ability to do it, it was just how soon was I gonna be able to get to him to make that happen. Jenna J: After that fight you were a world champion and there was talk of a super fight happening between you and Sugar Ray Leonard. What were your first thoughts when you heard you would be facing Leonard to unify the title? Tommy Hearns: When I first heard it I was like I was so totally thrilled. I was excited and I couldn’t wait. I couldn’t wait to do it. Jenna J: With that fight, you had more buzz than you could imagine for any event out there. Can you tell me what the build up was like for you? Tommy Hearns: The build up was awesome. Trying to make it to the fight was like a story because the people were so excited and by then they had started to make me be excited and overwhelmed by what I was doing and the position I was in. I was in a great position as far as saying who I was, and going against Ray Leonard was like two great champions meeting and battling it all off. Jenna J: In that fight you were doing so well, you were ahead in the fight, you were ahead on the cards and then he started to turn it on in the 13th round. Did you feel the turn in the match; did you see him coming on? What was it like at that point? Tommy Hearns: I felt like things were too late to turn and I was doing my thing and all of the sudden I was trying to do my thing and all of the sudden Ray started taking over the fight. I was like, “Oh my god, I gotta do something, what can I do to change things?” I was trying to turn things back around again. Jenna J: When the fight ultimately got stopped and it was ended, how did you deal with the gravity of your first professional loss? Tommy Hearns: Oh man I was really scared and mostly I just didn’t wanna be with the people because I felt I let people down and I was just scared to be in the public eye because I felt like at this time I let a lot of people down, I broke a lot of people’s hearts. I was like, “Man, you don’t need to be seen by nobody.” I was trying to stay hidden. Jenna J: That was really just the start of your career because just over a year later you went up in weight and you won the WBC light middleweight title from Wilfredo Benitez. What was it like coming back from that defeat and ultimately winning a title right again? Tommy Hearns: Yeah, it was hurting so much that I wanted to have a title again so badly that I started training extra hard, and when it came to fighting Benitez, I was ready. My mind was all made up, I was ready to go. Jenna J: After you won that title you had a fight with Roberto Duran. Duran was coming off a tough 15 round fight with Marvin Haggler and people expected him to give you hell in that fight and you took him out rather easily in the second round. What was that finish like for you? Tommy Hearns: It was just like I wanted to do, get started again. I was trying to put things back in to where I left them off at. To do that, I knew I had to go out there and I had to perform at my best, at my total best every time I went out there, because if I didn’t, I wasn’t gonna get another shot at going for a title again. I wanted to win a title again. 7 Responses to "Thomas Hearns: “Going against Sugar Ray Leonard was like two great champions meeting and battling it all off!”"
those boxer then are really have courage to fight the best, unlike gayweather who ducked the best. Hearns is one of the best that fights all the best in his weight, but Mayweather is opposite of Hearns. Mayweather choose the fighters that has no chance of beating him. Tomas the hitman Hearns from Detroit is really like a cobra. he can hit and knock you out cold in a single punch. One of the best and exciting fighter during his era. in order to be called one of the best…you have to fight others on their prime…….right now….pac and fmw is not going to be fun to watch……. Another find interview by Jenna with the “hit man” whom I met last year briefly in Bethlehem PA He gave us many exciting fights but the first fight with Leonard was possibly the best though the Hagler fight was exciting it was too short lived. He had one of the best trainer/manager’s in the history of boxing and a good guy on top of it. Danced to James Brown? That was funny and a new one on me. Manny is very missed by Tommy and anyone who knows boxing. Including Wladimir Klitschko I’m sure!